Quantity: 100 tablets One to two tablets per day is the recommended use. 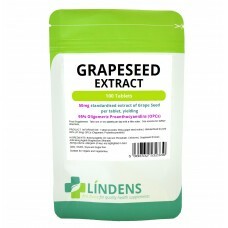 Take 1 to 2 tablets daily as a food supplement. 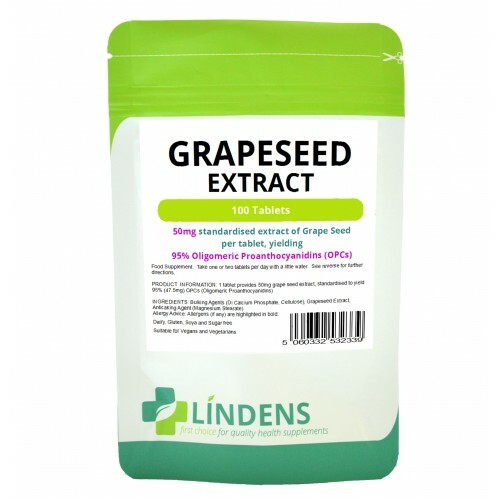 INGREDIENTS: 50mg red grape seed standardised extract providing 47.5mg OPCs; tabletted with dicalcium phospate, cellulose, magnesium stearate. Suitable for vegans and vegetarians.